Peola: "There's nothing wrong in passing. The wrong is the world that makes it necessary." Fannie Hurst, Imitation of Life, P. F. Collier, (1933): 244. …A Panoramic View: Brazilianization or South-Africanization? Comments Off on The “Coming White Minority”: Brazilianization or South-Africanization of U.S.? 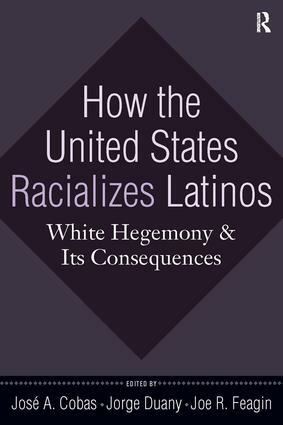 This book examines the major theoretical and empirical approaches regarding race/ethnicity. Its goal is to continue to place race and ethnic relations in a contemporary, intersectional, and cross-comparative context and progress the discipline to include groups past the Black/White dichotomy. 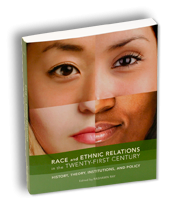 Using various sociological theories, social psychological theories, and subcultural approaches, this book gives students a sociohistorical, theoretical, and institutional frame with which to view race and ethnic relations in the twenty-first century. Mexican and Central American undocumented immigrants, as well as U.S. citizens such as Puerto Ricans and Mexican Americans, have become a significant portion of the U.S. population. Yet the U.S. government, mainstream society, and radical activists characterize this rich diversity of peoples and cultures as one group alternatively called “Hispanics,” “Latinos,” or even the pejorative “illegals.” How has this racializing of populations engendered governmental policies, police profiling, economic exploitation, and even violence that afflict these groups? From a variety of settings—New York, New Jersey, Los Angeles, Central America, Cuba—this book explores this question in considering both the national and international implications of U.S. policy. Its coverage ranges from legal definitions and practices to popular stereotyping by the public and the media, covering such diverse topics as racial profiling, workplace discrimination, mob violence, treatment at border crossings, barriers to success in schools, and many more. It shows how government and social processes of racializing are too seldom understood by mainstream society, and the implication of attendant policies are sorely neglected. This engaging reader is organized in four major thematic parts, subdivided into thirteen different sections. Part I (“The Social Basis of Race and Ethnicity”) establishes the analytical frameworks that are now being used to think about race in society. The section examines the social construction of race and ethnicity as concepts and experience. Part II (“Continuity and Change: How We Got Here and What It Means”) explores both the historical patterns of inclusion and exclusion that have established racial and ethnic inequality, while also explaining some of the contemporary changes that are shaping contemporary racial and ethnic relations. Part III (“Race and Social Institutions”) examines the major institutional structures in contemporary society and investigates patterns of racial inequality within these institutions. Persistent inequality in the labor market and in patterns of community, residential, and educational segregation continue to shape the life chances of different groups. Part IV (“Building a Just Society”) concludes the book by looking at both large-scale contexts of change, such as those reflected in the movement to elect the first African American president. Major themes include coverage showing the diversity of experiences that now constitute “race” in the United States; teaching students the significance of race as a socially constructed system of social relations; showing the connection between different racial identities and the social structure of race; understanding how racism works as a belief system rooted in societal institutions; providing a social structural analysis of racial inequality; providing a historical perspective on how the racial order has emerged and how it is maintained; examining how people have contested the dominant racial order; exploring current strategies for building a just multiracial society. Each section includes several pages of analysis that outline the main concepts to be covered, providing a clear initial roadmap for reading and a convenient resource students can use with assignments and while preparing for exams. The text’s unique organization according to overarching themes and relevant subtopics, including identity, social construction of race, why race matters, inequality, and segregation, places the articles into a broader context to promote greater understanding. This innovative text looks beyond a simple black/white dichotomy and focuses more broadly on an extremely wide range of ethnic groups, providing a much more realistic and useful exploration of key topics that is more relevant and compelling for today’s diverse student population. 35. Pierrette Hondagneu-Sotelo, “Families on the Frontier”.